The Kröller-Müller Museum is a place where things of beauty come together. The unique combination of art, nature and architecture guarantees visitors a truly unforgettable experience. The museum is a paradise for both seasoned art lovers as well as newcomers. A visit to the museum starts at the entrance to the Hoge Veluwe National Park. An unbroken stretch of 5,500 hectares of forest, heaths, grasslands and sand drifts. Visitors can roam around freely on foot or with a free white bicycle, and will automatically be lured to the finest treasure trove to be found in the Netherlands. The Kröller-Müller Museum is named after Helene Kröller-Müller (1869-1939). Thanks to decisive action on the part of Helene and her adviser, H.P. Bremmer, the museum houses the second-largest Van Gogh collection in the world: 88 paintings and 182 drawings by Vincent van Gogh. It includes modern classic canvases as Terrace of a café at night, Bridge at Arles and Country road in Provence by night. Helene Kröller-Müller collected almost 11,500 art objects. For Helene, Van Gogh was the greatest. ‘His value lies not in his means of expression, his technique, but in his great and new humanity’. 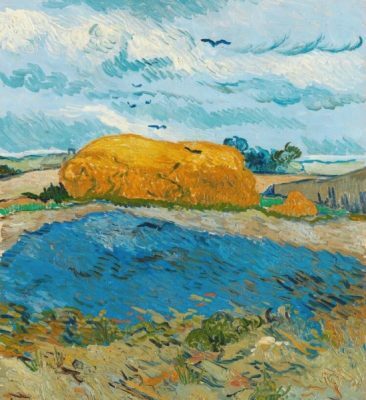 After a few years of collecting art objects, she became the owner of the largest private Van Gogh collection in the world (not counting that of the Van Gogh family itself). Helene Kröller-Müller not only collected works by Vincent van Gogh, but also by the French artist, ‘prince of dreams’, Odilon Redon (1840-1916). Redon was a pastellist, draughtsman, painter and lithographer, but he also learned to play violin and piano and acquired a love of literature at an early age. He formed close friendschips with writers and composers, was an active writer himself and gave music recitals. Redon found his inspiration in literary and musical sources, from classical antiquity to Richard Wagner, from Orpheus to Ophelia, and from the winged horse Pegasus to Salomé and Brünnhilde. Redon used these themes time and again, while changing their forms and providing them with new meanings, like variations on a theme in a piece of music. 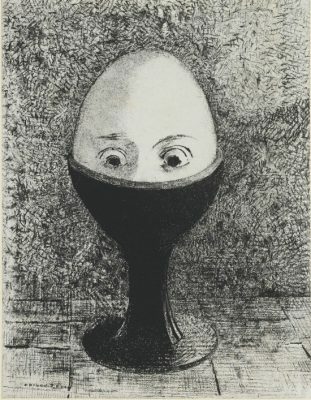 Redon’s role as a writer and illustrator is examined in the exhibition in a number of lithographic series that he made for texts by writers he admired, such as Gustave Flaubert, Edgar Allan Poe and Charles Baudelaire. He also combined lithographs with his own writings, creating visual and textual poetry, as in Hommage à Goya (Hommage to Goya). Here, word and image form a whole. The exhibition Odilon Redon. La littérature et la musique shows the unrivalled variety of themes in Redon’s work, from his powerful black and white lithographs to his radiant, colourful pastels. This exhibition was made possible by a generous loan from a private collection of exceptional quality, which closely matches the rich Redon collection, consisting of 193 works, created by Helene Kröller-Müller from 1912 to 1930. 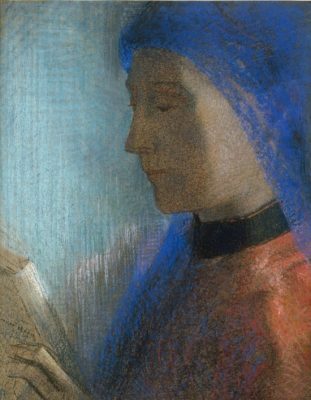 The exhibition is accompanied by a publication of the same name, with contributions from an international group of leading authors in the field of symbolism and Redon’s work. The book is available in Dutch and English at the museumshop and webshop. In connection with the Odilon Redon exhibition, the museum organises a beautiful summer programme of lectures, concerts and ‘quiet mornings’. During the ‘quiet mornings’ on Sunday 8 July and 9 September the public will be able to visit the exhbition at 9 AM, before the museum opens. La littérature et la musique is on show in the Kröller Müller Museum until 9 September 2018.